Veridian Technologies, Inc. combines premium WordPress website design services with a premium WordPress hosting platform. Your company deserves the versatility of a Content Management System (CMS) that can be your website, lead generation tool, financial management tool, customer relationship manager (CRM), and even your e-commerce site. It’s time for Veridian’s Premium WordPress Services. 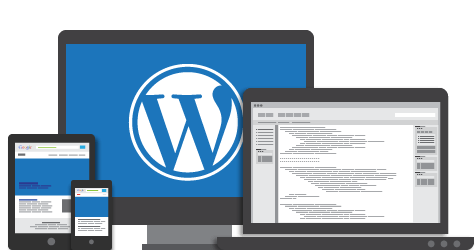 WordPress hosting providers try to be the fastest, or most secure, or most dependable, or even the most affordable. At Veridian, we strive every day to be all four. That way you can have peace of mind knowing you’re getting the highest performing, most secure, most reliable, and most affordable premium hosting platform. Get started now! You’re going to love our service. BYOS? If you already have your own service, that’s awesome! We’ll use it and won’t try to sell you something you already have! Veridian Technologies provides custom web development to Toledo area small and medium-sized businesses, brands, and professionals. We are a detail oriented group of WordPress experts dedicated to designing responsive websites that engage your customers, stimulate traffic through search engine optimization (SEO), and cultivate your brand. We build value and help our clients achieve their unique business goals. Having a robust eCommerce website is the foundation of your online retail business, and we understand the importance of utilizing the latest technology to increase your profitability. Veridian WooCommerce solutions offer the best standard features and functionality while remaining completely customizable. Our team will discuss your requirements and tailor the solution that matches your industry, brand, eCommerce goals, and customer needs. It’s time to get started!